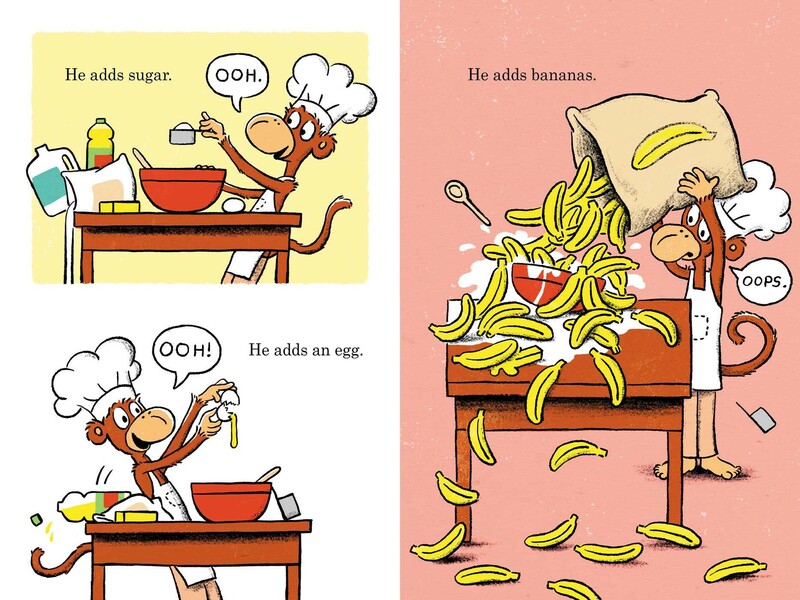 Summary: When Mr. Monkey decides to bake a cake, bananas figure heavily into the production. 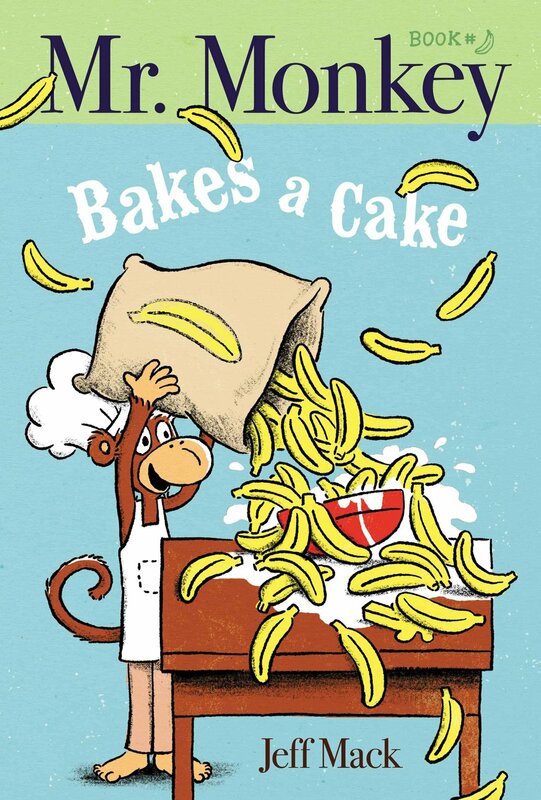 So much so, that Mr. Monkey is too stuffed to sample his cake when it comes out of the oven. No problem…he decides to take it to the big cake contest. The trip is fraught with peril, as Mr. Monkey encounters traffic, a deranged biker, and multiple chases by a variety of animals. He manages to arrive safely with his cake, only to discover that the contest is over. Don’t worry, Mr. Monkey has a way of making pretty much any situation turn out okay. 64 pages; ages 4-8. Pros: Filled with slapstick humor, this is sure to be a hit with the newly independent reading crowd. A second book, Mr. Monkey Visits A School is also available. Cons: 64 pages seemed a little long to me.